Here are the latest trends in the drinks industry based on research by Inside the Cask. Most people may know that Blended Malt is different to Blended scotch whisky in that it does not include any grain whisky, it is simply a blend of single malts. However, what many people outside of the trade may not realise is that this sub-category of Scotch whisky is growing, led by brands such as Monkey Shoulder from William Grant & Sons and its message of mixability, which is not in line with the traditional approach for the category. In fact, Monkey Shoulder’s trendy message of being “made for mixing” seems to be resonating in the On Trade as it was also recently named as the top Scotch whisky brand amongst the world’s top bars (click here for reference). The brand is in fact one of the Top 10 global brands when looking at Single Malts and Blended Malts sub-categories combined in volume terms, with over 350,000 nine-litre cases sold in the last year and the only other Blended Malt brand even close to it being Johnnie Walker Green Label (reinstated by Diageo in 2016) in the Top 20. Other brands looking to benefit from this surge in interest in Blended Malts include Copper Dog, The Naked Grouse (which only recently turned into a blended malt), Big Peat and Scallywag both from Douglas Laing (amongst other brands), Compass Box and Black Tartan to name a few. Legal Cannabis available for commercial consumption remains a product restricted only to certain countries (and some of its states in the case of the US, where 10 states have approved recreational consumption already) and therefore it is not a surprise that legal cannabis is currently only a fraction of comparable alcohol sales. The real risk to the alcoholic beverage market exists as acceptance and consumption of cannabis grows over time. A new wide-ranging report, Beverage Alcohol, Cannabis and the Changing U.S. Consumer: What are the Real Risks and Opportunities to Consumption Behavior?, details areas where beverage alcohol and cannabis can and do coexist. Though some cannabis use is starting to emerge during occasions that have been traditional alcohol occasions, the study indicates that cannabis and alcohol are often not always appropriate for the same occasions. Also, not all alcohol consumers are cannabis consumers, and not all cannabis consumers are alcohol consumers. There is still a large market of consumers that are, and will be for some time, unfazed by cannabis offerings. There are already plenty of examples of the integration between Alcohol + Technology in the Drinks Industry, from the Makr Shakr seen at the Bionic Bar onboard the Royal Caribbean cruise ship (see video below), to on demand alcohol delivery apps built with GPS technology such as the start-up Bevy and also through the use of Artificial Intelligence (AI) by companies such as IntelligentX Brewing Co. to improve their beer product with direct consumer feedback. More widely available, companies such Treasury Wine Estates are actively engaging their brands with consumers by creating new approaches to marketing with the use of Augmented Reality (AR). Back in 2017, the company launched an AR app to be used with their 19 Crimes wine brand, the first to use AR technology on wine labels. Given the sheer success of the 19 Crimes marketing campaign (helping it to grow in the USA to a 1.5m cases brand), the company has continued to invest in AR through the development of their ‘Living Wine Labels’ AR platform across its portfolio of wines, to help drive consumer engagement and growth of its brands around the globe. At the annual Consumer Electronics Show (CES) in January 2019, there was more innovation in the drinks category, this time from South Korean electronics company LG. They announced the release of the LG HomeBrew, an at-home beer maker that makes it easy to bring craft brews to life without needing access to a brewery. Technology bringing the joys of home made craft beer to your own home! 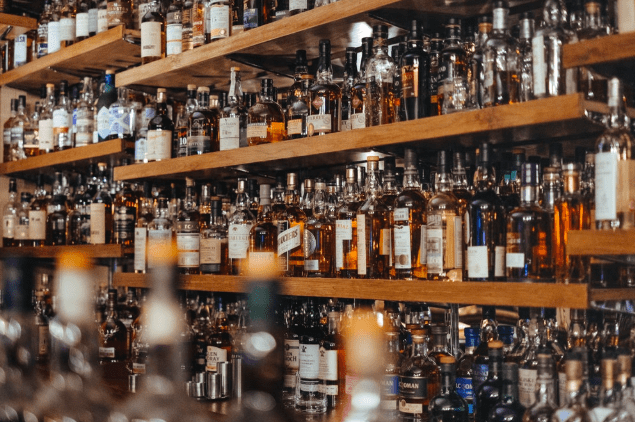 If you spend any time these days at a bar or liquor store, you will notice a much wider variety available with some new and unusual offerings across the portfolio of spirit brands, from whisky, to gin, rum and others. This is happening as the number of distilleries continues to grow, in the UK alone the number has risen from 131 in 2016 to 170 in 2017. The increasing demand for artisanal and craft spirits, especially amongst younger consumers, seems to be fuelling this growth further. In the US, the number of craft distilleries jumped 26% in 2017 compared with 2016, according to an annual report, released by the American Craft Spirits Association, an industry trade group. Interestingly, the association says that more than half of the sales for craft distillers come from customers in their local area. Nearly 20% of sales take place at the distillery’s headquarters, which the group says illustrates the importance of tasting rooms and visitor centres. Even more importantly, these new distilleries can benefit from the trend of younger consumers looking for ‘quality over quantity’, which is supporting the increase in the super-premium and high-end premium segments in the US for example (as per graphic below). The best example of this trend within the Drinks industry comes from the Beer sector. The Brewer’s Association is a not-for-profit trade organisation that protects and promotes small and independent US brewers. It defines a craft brewery as small (producing 6 million barrels of beer per year or less); independent (less than 25 percent owned by a larger alcohol company that is not a craft brewery); and traditional (beers are made with traditional or innovative brewing ingredients and their fermentation, as opposed to flavoured malt beverages). Above all, the key signifier of what makes a craft brewery is its independence. The Mad Fermentationist beer blog created the infographic below to show which breweries were owned by larger beer companies. This is not a fully comprehensive list but a good starter for ten to highlight the topic raised. Interestingly, a recent survey revealed that the vast majority of beer drinkers in the UK do not believe that large-scale producers like AB InBev can make craft beer, according to a survey by the Society of Independent Brewers (SIBA). Some 43% of the survey’s respondents said that a craft beer could only be made by a small brewery, while 42% said a craft brewer must be independent. For a link to the original article as reported by The Drinks Business – click here. Although there are not yet signs of the Gin category juggernaut stopping, the question in everyone’s lips is which drinks category will be the next one to be on trend. Perhaps we ought to look no further than the sugar cane-based spirit of choice: Rum. According to the Wine and Spirit Trade Association (WSTA), rum sales rose by almost one fifth (18%) in volume and 38% in value terms over the last five years in the UK, with data insight professionals CGA predicting (golden) rum as the next big trend in the spirits category. The Rum Renaissance is being driven by factors such as the thirst by consumers for craft cocktails; the enthusiasm of top bartenders for the category; a growth in the number of distilleries which has led to locally produced rums; more rum bars emerging; established bars stocking more rum brands and events promoting the category such as The Rum Experience and the global Rum Ambassador himself, Mr Ian Burrell. Aside from the apparently traditional locations associated with Rum production such as Barbados, Cuba, Jamaica, Puerto Rico, Guyana amongst others, rum brands can now also be found from even more locations than ever before as it is produced in 90 different countries – from the Silicon Valley in the US (Santeria Rum), to India (Wild Tiger Rum) and even Scotland (Dark Matter Rum). Wild Tiger Rum from India (pictured above) has been active in the Global Travel Retail/ Duty Free channel and recently released The Original Rumtastic Rum Box with rums from 20 different countries – a great initiative to promote the category as a whole with consumers! Consumers are increasingly looking for individual products and services, personalised to them and as part of an experience. This can vary from buying their own cask of whisky, to bottling their own blended scotch, wine or even spending a day with a Head Brewer to design your own beer recipe, such as the service offered by Hillside Brewery. Experiences such as the interactive ‘Blend Your Own’ whisky session with tasting offered by The Scotch Whisky Experience in Edinburgh (pictured below) are another such example.